KABUL:The first woman to win the Afghan version of American Idol says she will fight the Taliban with her music, embracing a victory rich in symbolism as her country faces an uncertain future. 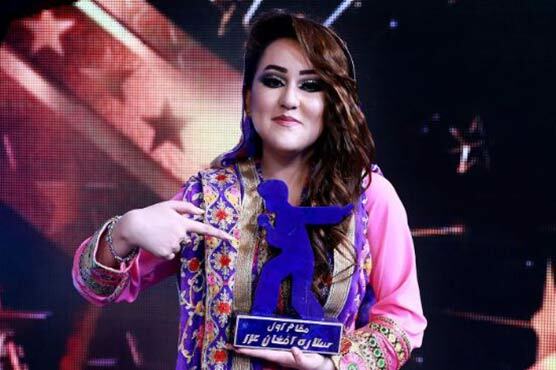 Zahra Elham won the 14th edition of Afghan Star last week, after male contestants took the prize in the hugely popular televised singing competition 13 years in a row. Elham, from Afghanistan’s ethnic Hazara minority, enchanted audiences with her high-pitched, raspy voice, performing Hazara and Persian folk music in traditional loose, colourful Afghan dresses and heels. The result made international headlines at a time when many women in the deeply patriarchal country fear their hard-won rights may come under threat as Washington, seeking a way out of the war, holds talks with the Taliban. Elham, who spoke to AFP in an interview at private television channel Tolo, which produces Afghan Star, appeared taken aback by her new fame more than a week on — but determined to use it to inspire other girls. “I was very proud of myself but at the same time shocked to be the first woman to win the contest,” the young woman in her early 20s said, her hair elegantly covered with an olive green scarf, visibly still uncomfortable with a camera. No one sings in her family, she said. She was inspired to compete after watching YouTube videos of idols such as Aryana Sayeed, an Afghan pop singer and social media star often likened to Kim Kardashian — a characterisation that in conservative Afghanistan is a bold, deeply political one. When asked if she, like Sayeed, is now a role model for Afghanistan’s young women, Elham’s response underscored the importance of her new platform in a country where women are largely absent from public spaces. “Yes, my voice is important for the women of Afghanistan,” she replied bluntly. Despite her passion, Elham, who is also a Justin Bieber and Maher Zain fan, says she has no intention of going in to politics. But if the Taliban return to some semblance of power in Afghanistan, she says, “I will fight with my music, because I want to make my life music and singing”. The Taliban used their strict interpretation of Islam to ban music and force women behind closed doors and beneath burkas during their austere rule of Afghanistan from 1996 until they were ousted in 2001. 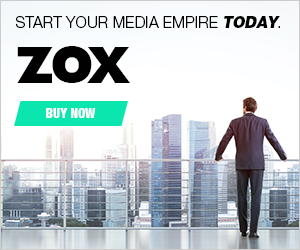 Since then they have waged an increasingly bloody insurgency against the Afghan government and US-led international troops. Now, as talks with the US progress, fears are sharp in Kabul that Washington may rush to exit, paving the way for the Taliban to return to some semblance of power in Afghanistan. Young women, keenly aware of how their gender were suppressed under Taliban rule — and still facing steep restrictions in Afghanistan today — are among the most vocal in warning they will not compromise their rights if the insurgents return. For now, however, Elham says her victory is a matter of pride — and that she remains focused on her music, with plans to learn the guitar and make more video clips of herself performing. “I see my future in music, and I can make my future bright with singing,” she says.